Tomorrow night we’ve got 2 special guests at ROBOTIC! Midnight Conspiracy from Chicago and our homeboy Jonathan Ackerman from Minneapolis! It’s going to be a wonderful time, rheumatologist for sure! Yesterday, discount Crystal Vision posted up their entry for the Yeasayer remix contest and we really would like if you would go have a quick visit to the contest page and just click VOTE – DO IT HERE! 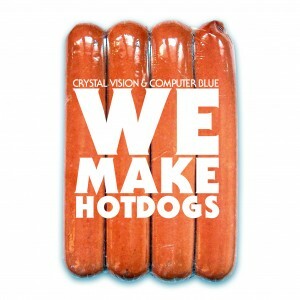 Crystal Vision and Computer Blue teamed up to share their love of hotdogs with you. Available at these fine digital retailers now!